There are a lot of ways to reach new audiences online.Search engine optimization (SEO) used to be the sole priority of most digital marketers. We have since begun to realize that we can’t rely too heavily on organic search traffic. Google’s algorithms are volatile and change almost daily. It is easier to predict the traffic flow of other channels, such a social media. Have you thought about using social media to promote your business? 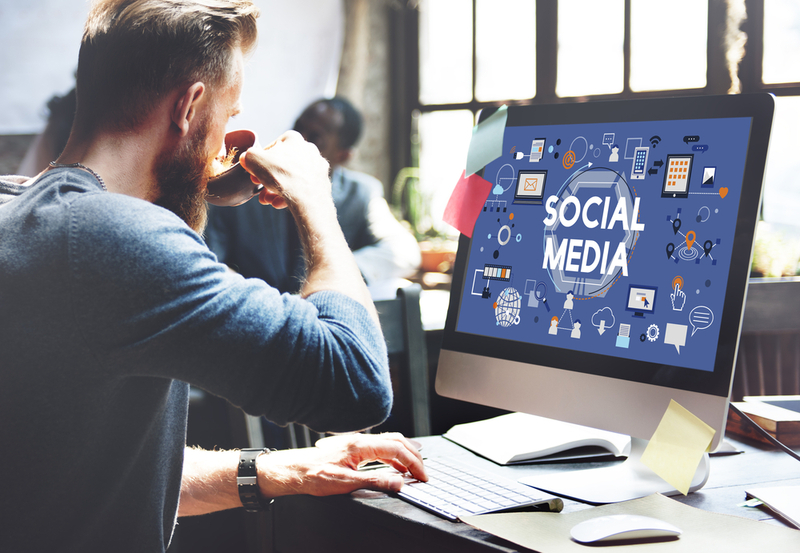 Have you been using Facebook and Twitter for a while now and are contemplating upping your social media presence even further? There are a lot of other social media networks today, such as Pinterest, Instagram and a host of more specialized networks. A business that doesn’t make use of more than one of the social media platforms will be seriously falling behind their competitors. Social media marketing can benefit your company – provided you know how to use it properly! If you want to know how to make the most of social media for your business, here are some tips worth reading. Do you know much about your target audience? Do you know where they hang out? Understanding which social media platforms your target audience use will help you to focus your marketing resources. If you are trying to reach women, then you may want to try Pinterest. If you plan on reaching B2B companies, then LinkedIn might be the way to go. There are so many different platforms that it will be impossible for you to keep up with them all! Make sure that you choose the right ones. Social media is all about engaging with your audience rather than merely talking to them. One of the most critical aspects of social media is the opportunities it provides for interaction. If you can understand how to speak with your customers, rather than talking to them, it is the first step in getting them to talk about you. It doesn’t matter whether customers are praising or complaining, you should always be willing to interact. Humans find it very hard to admit when they’re wrong and doing it in the public arena is even harder. Being able to hold your hands up and recognize when you’ve posted in error is a vital part of running a successful social marketing campaign. You need to let people know if you are trying to promote your blog. Of course, you should also promote other accounts as well, so that you don’t look too self-promotional. Because social media moves so fast, you need to be prepared to keep up with it. You need to be posting on a regular basis and consistently. If you think you haven’t got the time to keep up with such a marketing campaign, there are plenty of companies that can help you. Social media services from Operation Technology is one option. It’s important to understand that there will be some negative comments about your business and it shouldn’t always be considered a bad thing. The key to handling such feedback or complaints is to act quickly and in the right way. There’s little point in denying it. Instead, provide customers with a way of getting in touch so that the problem can be resolved. Consumers are now using social media platforms as a way of getting customer service. Making yourself available via social media channels will show you can be more accommodating. The last tip to share is that you should always measure your results. If you don’t look at what’s working and what isn’t, you’ll never be able to adjust your marketing strategies moving forward. Almost every aspect of social media marketing can be measured, which means you can also set goals and objectives. It could be in relation to the length of your blog, or the most popular hashtag your customers use. Make use of all the analytical tools available to work out what works best for your business. Workplace Ergonomics: What Is It and Why Should You Care?